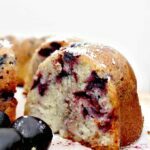 Cherry and Coconut Cake is a wonderful soft pound cake bursting with cherries in every bite! The flavor is out of this world! Cherry and Coconut Cake. Oh my goodness! Today we’ve got a wonderfully soft, moist and delicious cake for you. 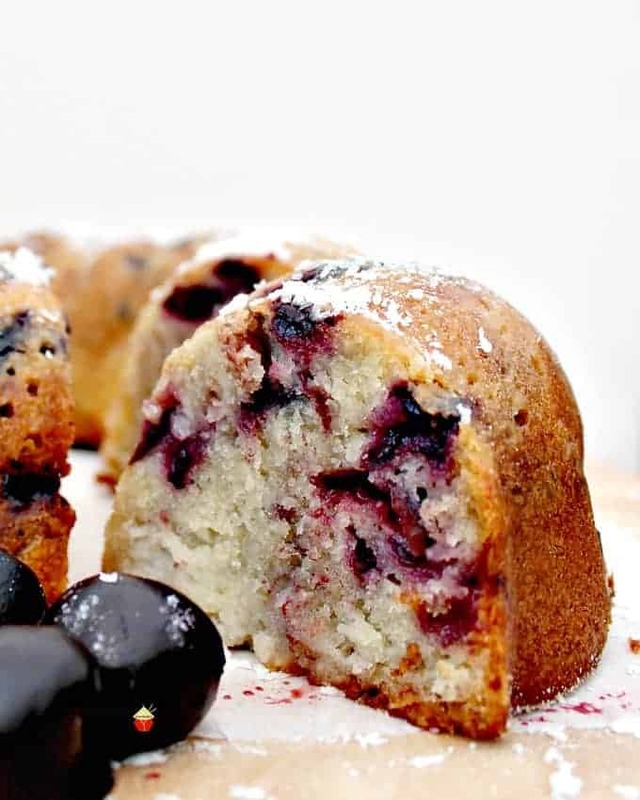 This cherry and coconut cake is packed with flavor, and bursting of cherries in every bite. 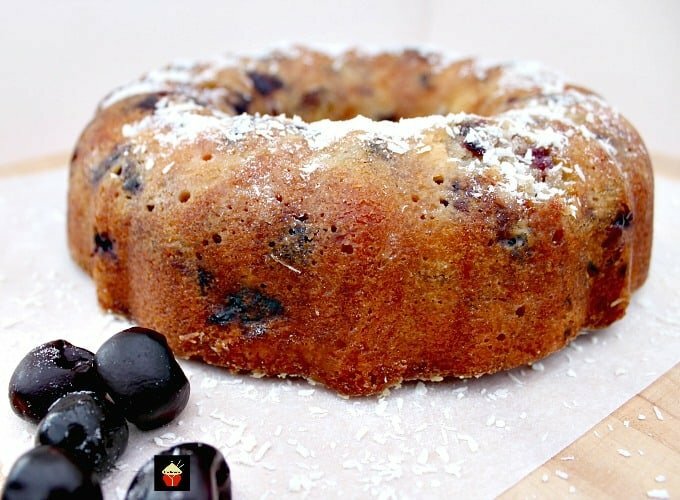 I’ve made this recipe using my basic pound cake recipe and changed it around so it’s got a lovely creamy coconut flavor and the texture of those juicy cherries is really quite lovely! 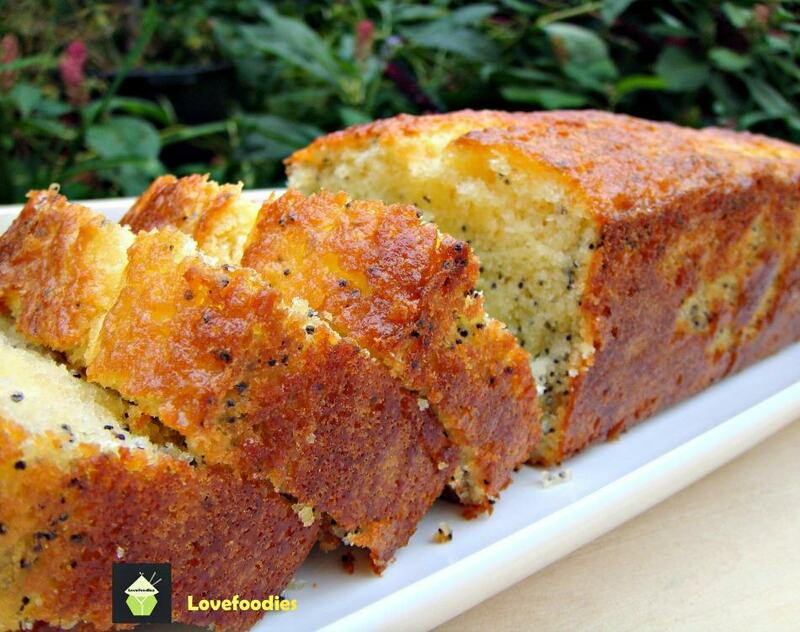 As many of you know, I usually, well, always, make my pound cakes in a traditional loaf pan. Well, I thought I’d make a change and use one of my bundt pans. The cook time is a little shorter using a bundt pan, around 10 minutes less, but otherwise, it’s exactly the same so feel free to use whatever pan you want. Just keep an eye on bake times as they will vary from pan to pan and oven to oven. Cherries are so expensive! If you’re lucky, you can get fresh cherries which are sweet and juicy. However, for me, I haven’t come across any yet. perhaps in the summertime. So I’ve used frozen cherries which are already pitted. You can also use can or jar cherries which have been canned in their own juice or syrup. I do find the frozen and canned cherries have much more flavor and juiciness than the fresh and are way cheaper too! For the coconut milk, I have used a low-fat one, but a regular coconut milk will be fine. The coconut flavor you get with every bit of this cherry coconut cake is just so lovely! I hope you will get to make the cake soon and enjoy it as much as we have. 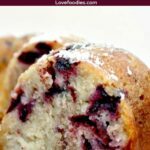 It’s definitely a keeper recipe and great for making for the family, to take for picnics and potlucks, parties, afternoon tea, breakfast and brunch… are you seeing a theme here? 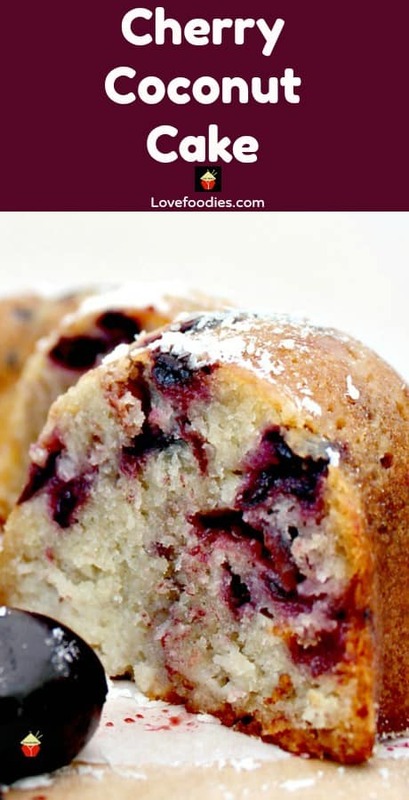 Yep, you could eat this anytime and at any occasion! You will see I haven’t added any frosting. Just a simple sprinkling of coconut on the top. In my opinion, this cherry coconut cake doesn’t need anything else added. It is just perfect as it is. If you did want to make a frosting, for example, if you were to use this recipe as a birthday cake and you wanted to fancy it up a little, I would suggest a very simple Powdered sugar glaze drizzled on top. 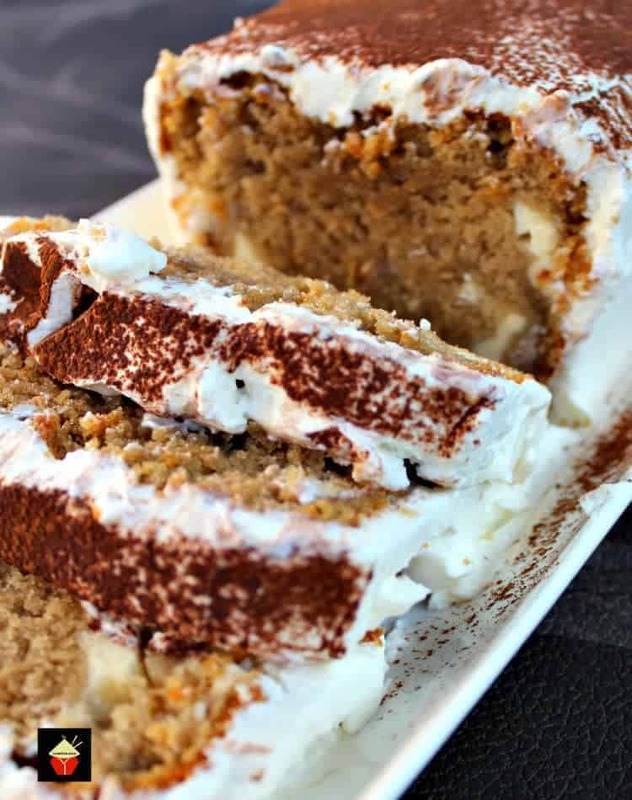 Take in to account the cake is sweet so whatever frosting you add will be sweet too so you may want to reduce the sugar quantity in the cake ingredients by a quarter less. So let’s get straight to our cherry and coconut cake recipe and please enjoy! 1 -2 Tablespoons Desiccated / shredded coconut for sprinkling. 1. Heat oven to 170C, 325F. 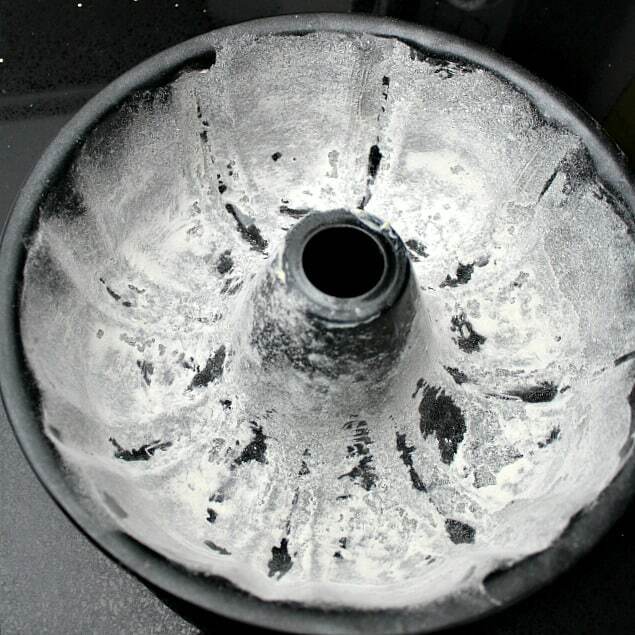 Grease and flour your baking pan. ** Please note, if using a Bundt tin, be sure to grease it very well as it can be hard to get the cake out of such a shaped tin. 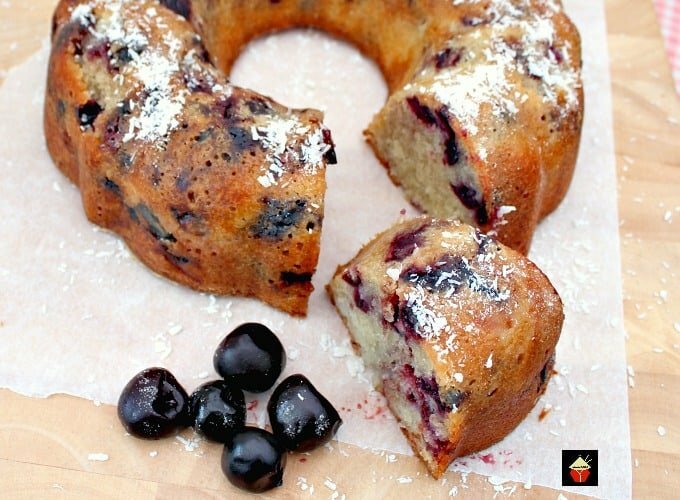 Looking for a good quality, non stick Bundt Pan to make this delicious cake? Here’s one we can recommend. 2. Get all your ingredients ready, i.e coconut, sieve the flour, and add the salt and baking powder to the flour etc. 3. 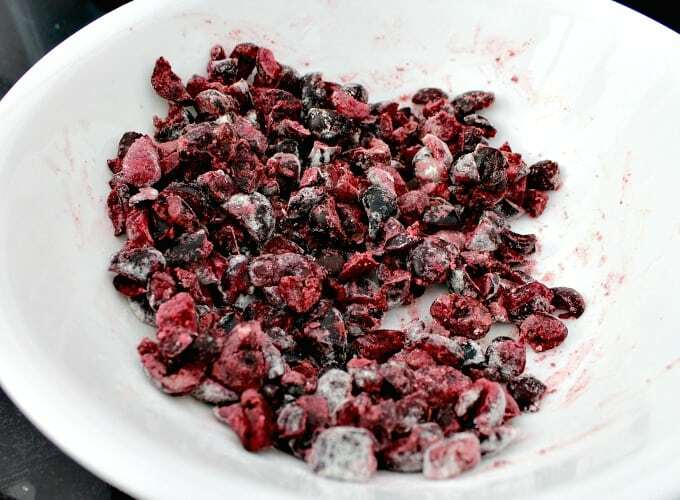 Dust the chopped cherries with some flour to stop them sinking to the bottom during baking. 4. Start with making the cake batter by creaming the butter and sugar until a pale light colour. 5. Slowly add the beaten eggs to the mixer, on a low speed setting, a bit at a time. If the mixture starts to curdle or split, add a spoonful of your sieved flour, keep on adding the eggs, and a bit of flour if necessary, until all the eggs are added. 6. Add half the coconut milk with half of the flour, keeping the mixer on a slow speed. Once combined, add the shredded / desiccated coconut, and the rest of the coconut milk and flour. Lastly, fold in the chopped cherries. Make sure you don’t over mix otherwise the cake batter will turn completely red and the cherries will go mushy! 7. Transfer the cake mixture to the greased pan. Then place in the oven for 1hr 5 minutes ***** Please note, if using a Loaf pan, cook time is 1 Hour 10 – 15 minutes. *** Please do test if the cake is done by using a skewer and poke it in the middle to see that it comes out clean. Every oven is different and cook times may vary a little. Here’s a cute little cake tester you can keep handy in your drawer for every time you bake a cake! It’s easy to find in your drawer because of the decoration too! 8. When the cake is done, take it out of the oven and leave in the cake tin until cool. 9. Whilst the cake is still HOT, using a skewer, prick holes all over the top of the cake, pushing the skewer through to the bottom of the cake. Gently pour the coconut milk all over the surface of the cake, distributing evenly with a brush if needed. The liquid will be quickly absorbed by the cake. Then immediately sprinkle the dried coconut all over so it sticks. (if you’re using a loaf pan). 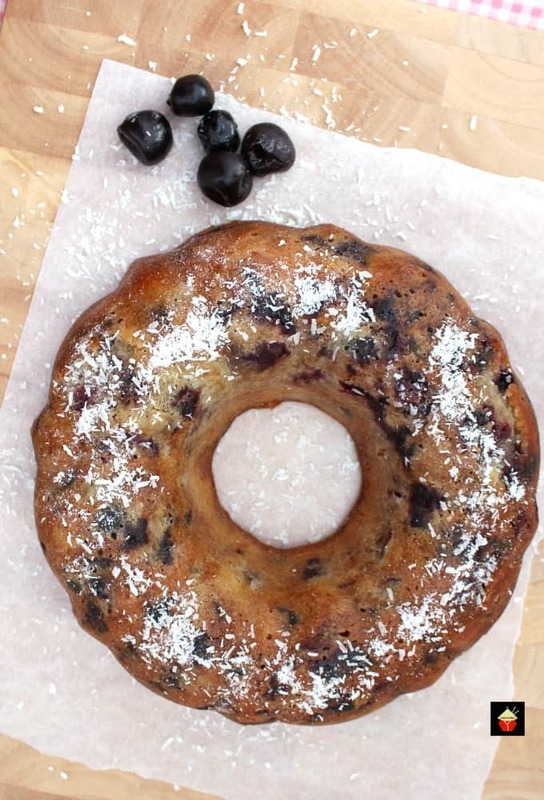 If using a bundt pan, remove from the pan on to a plate and sprinkle the coconut. You can use as much dried coconut as you wish. I only added a light sprinkling, but the choice is yours! Allow to cool. Store in an airtight container. 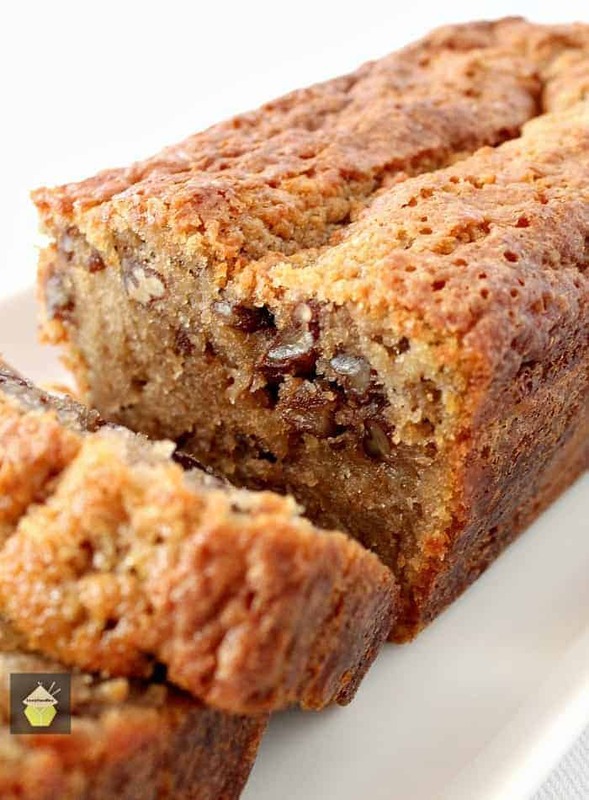 This cake is best eaten the following day, although it doesn’t usually last that long! Looking for a good container to keep your cake fresh or transport to a friend’s or potluck? We can recommend this which will show off your cake and looks pretty on the countertop too! 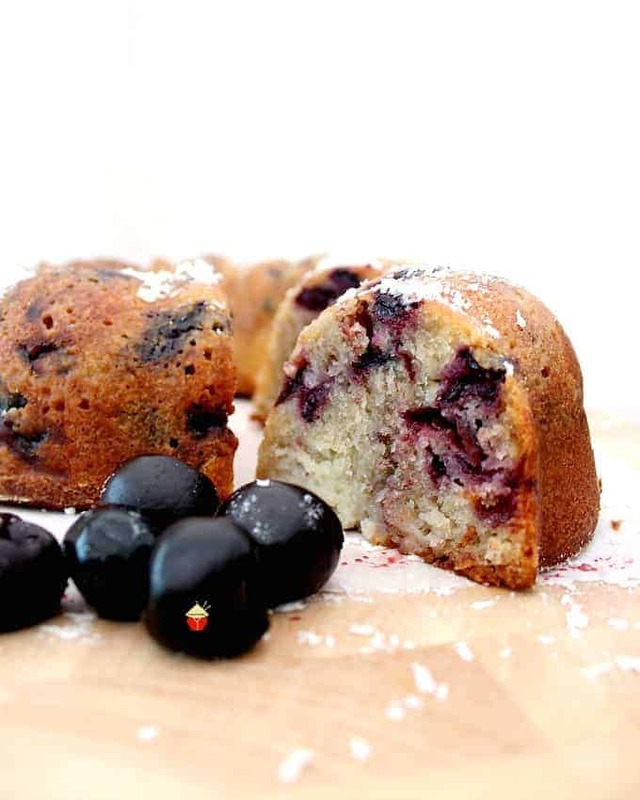 We’d love to hear from you and what you thought of our cherry and coconut cake post. Did you make any changes or add some other goodies? Let us know in the comments below. Thanks for reading and happy cooking! 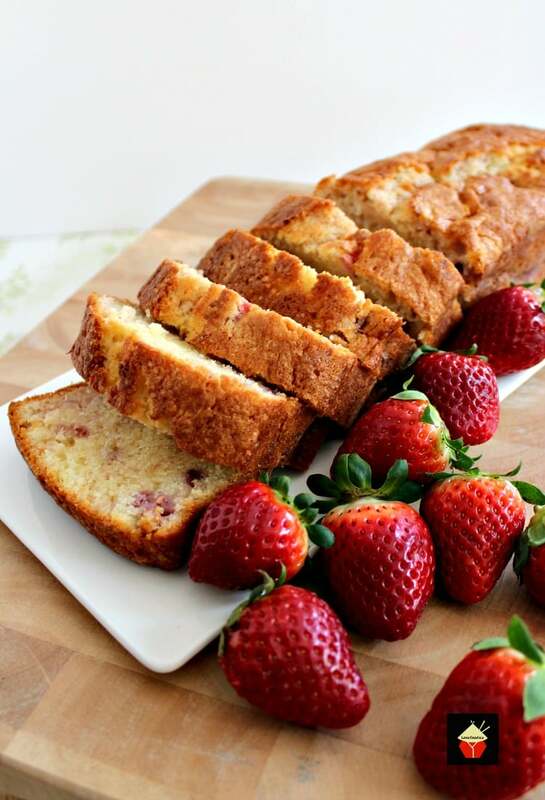 Here’s a few more pound cake recipes for you to enjoy! Heat oven to 170C, 325F. Grease and flour your baking pan. Get all your ingredients ready, i.e coconut, sieve the flour, and add the salt and baking powder to the flour etc. 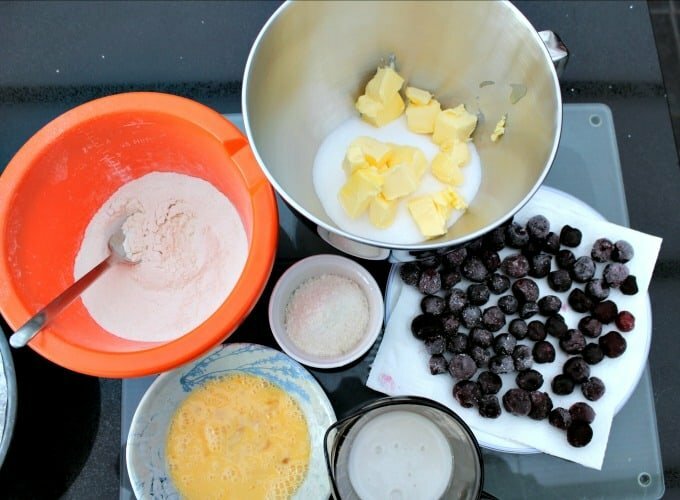 Dust the chopped cherries with some flour to stop them sinking to the bottom during baking. Start with making the cake batter by creaming the butter and sugar until a pale light colour. Slowly add the beaten eggs to the mixer, on a low speed setting, a bit at a time. 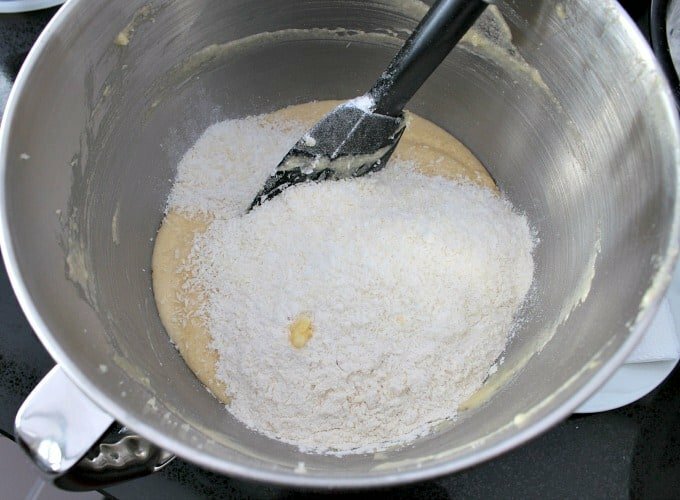 If the mixture starts to curdle or split, add a spoonful of your sieved flour, keep on adding the eggs, and a bit of flour if necessary, until all the eggs are added. Add half the coconut milk with half of the flour, keeping the mixer on a slow speed. Once combined, add the shredded / desiccated coconut, and the rest of the coconut milk and flour. Lastly, fold in the chopped cherries. 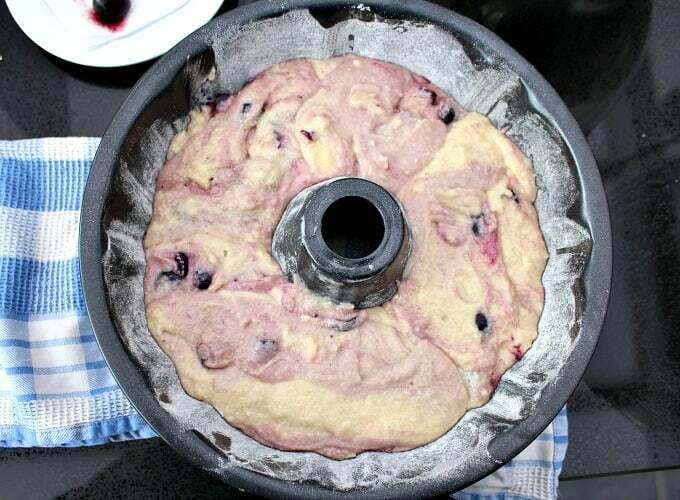 Make sure you don't over mix otherwise the cake batter will turn completely red and the cherries will go mushy! Transfer the cake mixture to the greased pan. Then place in the oven for 1hr 5 minutes ***** Please note, if using a Loaf pan, cook time is 1 Hour 10 - 15 minutes. 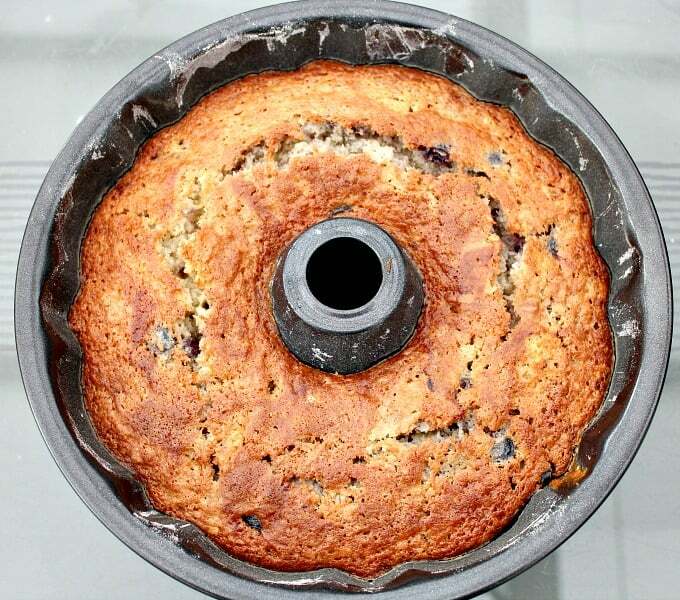 When the cake is done, take it out of the oven and leave in the cake tin until cool. Whilst the cake is still HOT, using a skewer, prick holes all over the top of the cake, pushing the skewer through to the bottom of the cake. 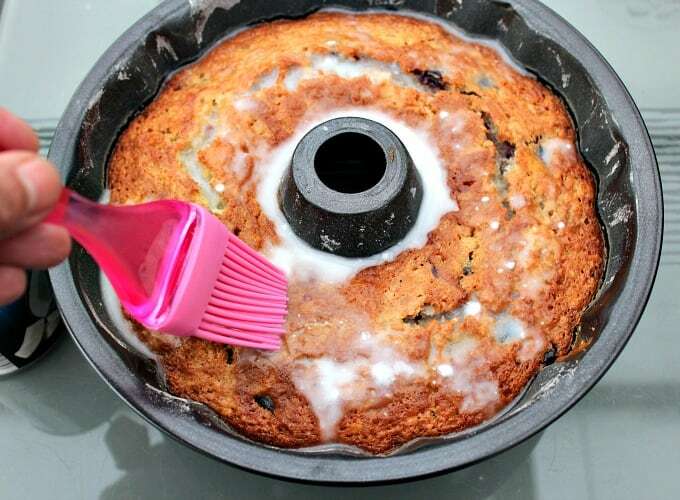 Gently pour the coconut milk all over the surface of the cake, distributing evenly with a brush if needed. The liquid will be quickly absorbed by the cake. Then immediately sprinkle the dried coconut all over so it sticks. (if you're using a loaf pan). 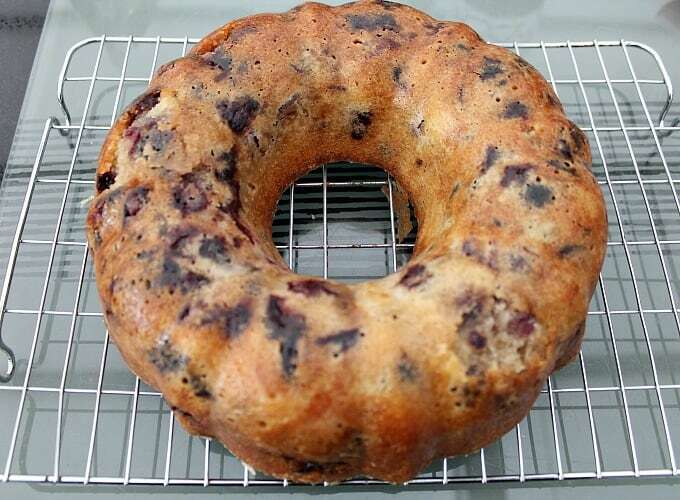 I have just found this website and made the Cherry and Coconut Cake. It was delicious, so lovely and moist and light. The only slight criticism I have, I do have a sweet tooth but found it to be rather too sweet. 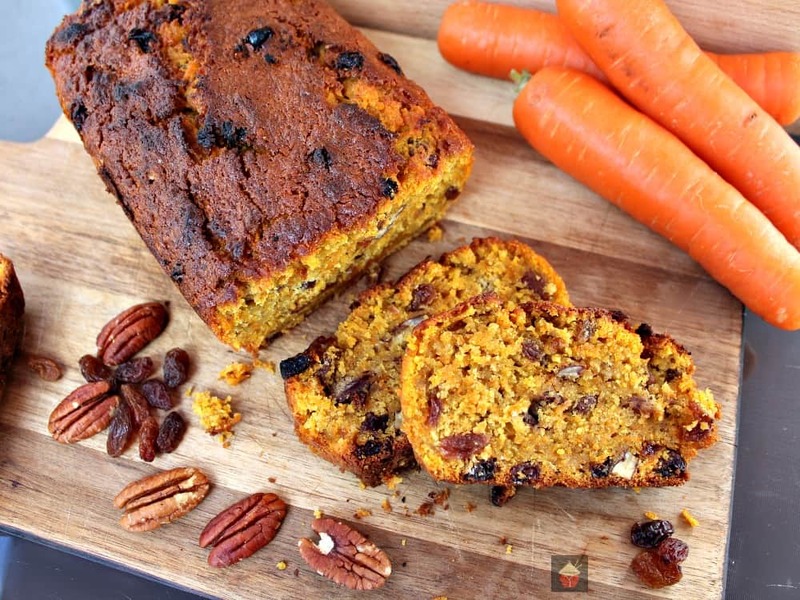 Would it be possible to reduce the sugar content without detracting from this tasty cake? Do you use canned coconut milk or the kind in the a carton that you can drink. Hi Patricia, I use the canned coconut milk. Very excited to find this recipe as I have a Tipton of fresh and frozen cherries. If using frozen cherries do you have to defrost and drain them first. Instead of using coconut milk can regular be used instead. 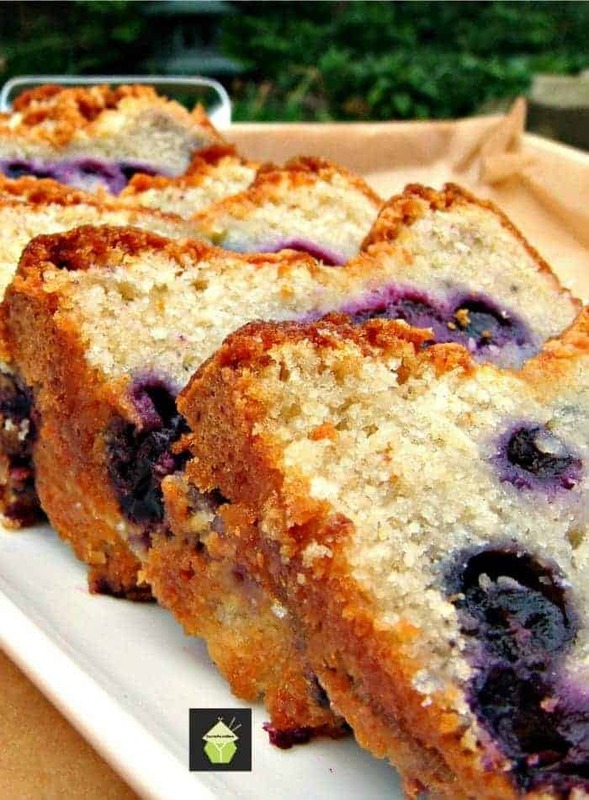 After baking is it necessary to top with glaze or can more coconut just be added to inside of cake. Lastly can this be frozen.. can’t wait for your response as my New Heritage Bundt Pan is waiting for this cake. Fresh or frozen cherries is fine. You can sub coconut milk for regular milk but obviously you won’t have the creamy coconut flavour in the cake. I wouldn’t suggest adding extra coconut to the recipe instead of using the glaze. Rather, leave the glaze off altogether if you prefer. If you change the cake batter ingredients and ratios then I can’t say how the cake will turn out!